It’s time to take control of SOPHIA III and set off on your subterranean adventure! Blaster Master Zero is now available on the Nintendo Switch and Nintendo 3DS! Jason Frudnick is searching for Fred, a strange frog-like creature that he was studying who escaped from the laboratory, and it’s up to you to find him in this vast underground world filled while hostile mutant scum! Head to the Nintendo eShop in either North America or Europe to download your copy today! Like the sweet wallpaper you see above? Download it from the official Blaster Master Zero homepage here! One day, a young man named Jason Frudnick, known for being a genius in the field of robotic engineering, discovered a strange creature that he has never seen before. No records of this mysterious creature could be found, so Jason gave it the name “Fred” and took it to his lab to begin closely observing it. Shortly after that, an accident occurred in the lab and Fred managed to escape.Fred jumped into a hole that seemingly appeared out of nowhere.Jason followed, and before he knew it, he found himself in a cave where the battle vehicle “SOPHIA III” awaited him. 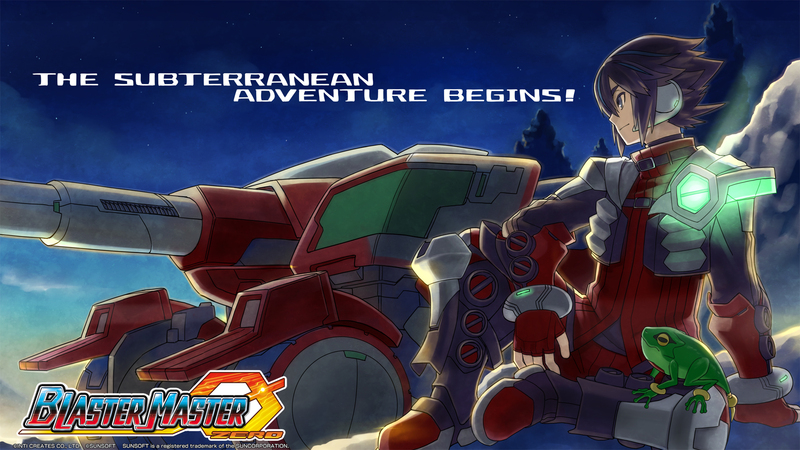 Check out the Blaster Master Zero homepage for full details about the game!